Though the future seems to be greener under Obama’s reign, US is already basking under the green limelight. A report suggests that United States has outshined Germany as the biggest producer of wind power for the year that has gone by. And US isn’t stopping there. It is estimated to lead in the solar power too for the current year. Generating 25 gigwatts (GW), the country has moved one slot up past Germany (24GW) to enjoy the top position. With a jump pf 50% growth the country’s wind energy is enough to charge up more than five million homes. And if Obama keeps to his promise then US can bask in almost double the current alternative energy over the next three years. Based on reports by the Global Wind Energy Council, it is known that Spain and China occupy the third and the fourth places respectively. 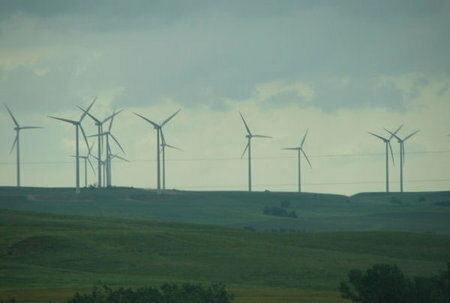 China’s growth is also noteworthy as it has doubled its installed wind power for the forth year running.